Aqualane Shores: This outstanding home in Aqualane Shores provides Guests with wonderful views of Naples Bay from almost every room! With an open concept gourmet kitchen, beautiful custom wood ceiling accents and Alabama reclaimed antique pine flooring, this luxurious old Florida style home is the perfect getaway to paradise! With 205 feet of water frontage, 170 feet of boat dockage and two boat lifts, this stunning home is truly a boaters dream. Enjoy your morning coffee overlooking Naples Bay, watch your favorite movie with the family in the entertainment room, sip a glass of fine wine in the hot tub, the options are endless! Port Royal: RENTED THROUGH MAY 31, 2019. "Villa Vista" offering perhaps one of the most breathtaking views and location to be found on the beach in Naples. Overlooking Gordon Pass, this idyllic seaside location presents an elegant and contemporary home sprawling over 7,709 S/F of living area that has been thoughtfully renovated with floor to ceiling windows, gourmet styled kitchen, media / family room plus so much more. Features include master suite has his and her baths and a spacious balcony overlooking the pass. There are two additional bedroom suites in the main house and two bedrooms in the guest house. Among the many highlights, this home has two offices, her office with walkout on to the beach and his office perched on the second level that looks down the beach to Gordon pass. Additional features include 73' lap pool, four car garage, two laundry rooms, generator , koi pond and has a gated entry access to ensure maximum privacy. This estate is truly the ultimate luxury beach experience. Gordon Drive Estates: ***Rented Jan. 1, 2019 - April 30, 2019. 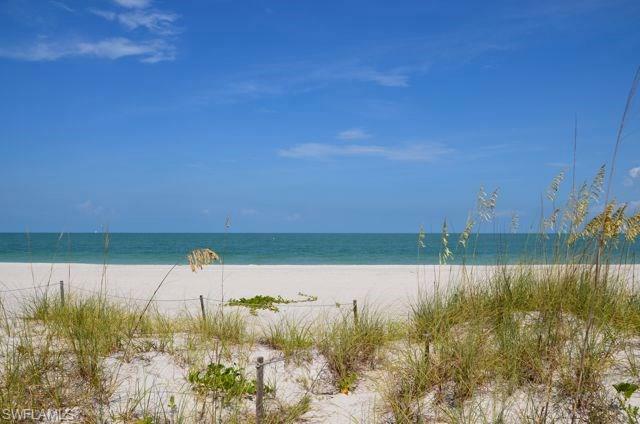 *** Signature Naples beachfront estate rental that offers magnificent panoramic Gulf views. This estate sprawls almost 5,400 Sq.Ft. of living space and shows great attention to detail. Features include gorgeous custom stone, marble and wood flooring, Artisan Guild custom wood work, exquisitely gorgeous chandeliers, multiple intricately carved marble and stone fireplaces, gourmet kitchen and much more! The exterior is right out of Middle Earth with its timeless Banyans, lush landscaping and fish filled ponds. This estate was made for entertaining with many distinct areas and luxurious views of the Gulf from seemingly every vantage point. Relax in the gorgeous custom pool and spa. The pinnacle of beachfront luxury living and one of the finest beachfront rentals that Naples has to offer. Fully approved hotel site located next to I75 at exit 101. This site is approved for 156 room four story hotel. Other uses allow for any commercial or retail business, for example restaurant, flex space, manufacturing, etc. Olde Naples: Magnificent Beachfront home located in Olde Naples. This Four Bed, Four Bath home with a one Bed/one Bath Guest House, has been newly constructed in 2001. This contemporary home is furnished with clean lines / collected Balinese antiques / neutral-toned furnishings and beautiful artwork. The family room is comfortable with a Balinese teak wall-unit. The Gourmet Kitchen has all upgraded cabinets, stainless-steel appliances, granite counters, and is beautifully stocked for entertaining.The Dining area has a beautiful rectangular, teak table and teak chairs for 8. Living area has 3 comfortable white couches, two matching chairs, cocktail table, and beautiful artwork.The Master Suite offers a king-size bed, large bathroom with walk-in shower, morning kitchen, washer/dryer, private balcony looking west to the Gulf and beautiful sunsets.The second upstairs bedroom offers a King-size bed, private bath with walk-in shower, private balcony overlooking the beach and gulf; the third bedroom is downstairs, and has two twin beds, private bath, view of beach and gulf; the fourth bedroom offers twin beds, private bath. GREAT LOT WITH SANTA BARBARA BLVD FRONTAGE. IRRIGATION INSTALLED, READY TO BUILD. Zoned C-2 “Commercial Convenience District”, Collier County. Suitable for offices and small scale stores, restaurants and other commercial uses. UNIQUE OPPORTUNITY! Over 1 acre with HUGE Building which includes large processing area, multiple dock spaces, multiple office spaces, an efficiency, and forklift ramp. There are also two separate rooms: One holds 8 trailer/carloads and has a ceiling height of approx. 30 feet. The other holds 4 trailer/carloads with a ceiling height of approx. 20 feet. Property also features a large yard space with a large parking lot and the entire parcel is fenced. Repairs from Hurricane Irma are ongoing. Roof repairs will begin shortly as well as other storm-related repairs. Valuable Cooling/Refrigeration equipment is also on premises and can be sold if buyer doesn't need. Open up the two sets of large gates to a rare opportunity, to purchase over an acre of land with multiple buildings providing maximum rental opportunity. With 14 bay doors, spread across 7 separate buildings this property boasts space to hold a multitude of businesses. Ideal for towing companies, landscaping companies, building suppliers ext... In addition to an abundance of space this property comes with a Garmat downdraft paint booth that is commonly rented/leased by collision and auto repair shops. With 5 separate offices spaces and 5 bathrooms there is room for a large corporation or multiple smaller companies. Don't miss the opportunity to own a unique, highly desirable property like this in the heart of Naples for a great price. Wilderness: This won’t last! Wonderful two bedroom, two bath with a beautiful water view of the 7th hole at the Wilderness. Grab you clubs and move into this premier golf community where there are only 300 memberships. Golfing in season on this Arthur Hill’s course is a pleasure. The central location of the Wilderness makes access to popular places like Olde Naples, Waterside, Mercato and beaches easy. A $65,000 membership is required with purchase of the condominium. Wilderness: Don’t miss this incredible opportunity to own a first floor condominium at the Wilderness! Watch golfers tee off on the 18th hole as they make their way back to the clubhouse. At this AS IS price you can renovate and make it your dream retreat. This magnificent Arthur Hill’s course is limited to 300 memberships making access to the course during season exceptionally available. The central location of the Wilderness makes access to popular places like Olde Naples, Waterside, Mercado and the beaches easy. A purchase of a $65,000 Wilderness Country Club golf membership is required with purchase getting you into the Wilderness for $185,000. Wilderness: Wonderful view of the golf course and some of the lake on Hole number two. Eastern exposure with no buildings in sight. Third floor in an elevator building. 2 bedroom, 2 bath condo with wide balcony. Golf cart and golf cart garage included. No trail fee. Enjoy all that Wilderness has to offer: Championship Arthur Hills 18 hole golf course, full service clubhouse, Har-Tru tennis courts, bocce, croquet, dog park and 5 swimming pools. Wilderness is like stepping back into Old Florida with its natural setting. Audubon community. Membership in the Club is mandatory and the current initiation fee is $65,000. Offers must be on NABOR Sales contract. Wilderness: Just reduced. Owner wants it sold. Renovated 2 bedroom, 2 bath condo with lake, an outdoor balcony and "sunroom" to enjoy all nature's beauty with all the creature comforts. One level living on the 2nd floor with an in building elevator. Spacious open rooms, good closet space and high-quality Bosch appliances. This lovely spacious condominium has been appointed with soft neutral tones. Easterly exposure overlooking a golf course lake. Tall Pine Lane is nestled in a quiet small enclave of Wilderness Country Club with quick access in and out of this exclusive Golf Course Community. Offered "turnkey," the property will be ready for the new owner's immediate enjoyment. Includes a covered parking space, golf cart garage and the golf cart! The fantastic Wilderness location offers easy quick access to tremendous shopping, Historic Naples, Park Shore or Mercato, the beaches or the expressway all within minutes. Easy to show and a fantastic value. $65,000 mandatory golf membership non equity. Offers must be on NABOR sales contract. Wilderness: C.15556 - An absolute must see!!! Turnkey Furnished! Just Bring your Clubs and Enjoy!! Featuring updated tile floors, Corian counter tops, open kitchen, beautiful raised white panel cabinets, great bathrooms, custom closets and FOREVER GOLF COURSE VIEWS. You will enjoy the open floor plan, two master suites, a spacious balcony, and a golf cart garage with a golf cart. Wilderness Country Club features a Championship Arthur Hills 18-Hole Golf Course, Full-service Clubhouse, Har-Tru Tennis Courts, Bocce, Croquet and five swimming pools. As a Member of The Audubon Cooperative Sanctuary, the Wilderness is an Incomparable Living Habitat for Wildlife. A Tropical Paradise in a Great Location conveniently located close to everything - Beaches, Shopping & Old Naples! Wilderness Golf Membership required currently $65,000. West Wind Estates: 55+ COMMUNITY - Terrific two bedroom manufactured home with over 1400 square feet of living area with comfortable open spaces and air conditioned porch! This unfurnished home includes appliances( Stove-2002, refridgerator- 2015, Hot water heater- 2015, dishwasher-2007, a/c-2004, washer/dryer-2013) Located in the active 55+ community of West Winds featuring a community pool, shuffleboard, billiards and a popular social schedule for residents. Wilderness: c.15395 Nicely updated, impeccably maintained, furnished condominium features an open kitchen, stunning flooring throughout, raised white panel cabinetry, and indirect lighting. Enjoy lots of Natural Light with a Great Space for Entertaining. Also, includes Brand New golf cart and golf cart garage carport. Wilderness Country Club features a Championship Arthur Hills 18-Hole Golf Course, Full-service Clubhouse, Har-Tru Tennis Courts, Bocce, Croquet, Dog Park, and five swimming pools. As a Member of The Audubon Cooperative Sanctuary, the Wilderness is an Incomparable Living Habitat for Wildlife. Golfers Paradise - All you can play, any time, no trail or cart fees on Arthur Hills 18-hole course. Conveniently located close to everything - Beaches, Shopping & Old Naples! Wilderness Golf Membership required currently $65,000. CLICK ON MATTERPORT VTOUR. Just bring your clubs and Enjoy! Gatehaven: Large 3 bedroom 2.5 bathroom townhouse in a quiet area of golden gate city. Great for family or investment opportunity. West Wind Estates: West Wind Estates 55+ Community- Fantastic opportunity to own a piece of Naples! Take a look at this roomy 3 bed, 3 bath home with ceramic tile flooring and so much more! Master bath includes soaking tub and shower. This home has enough room to house your mother-in-law...(if you have too:) Buy for your winter get away or full time residence! Great investment opportunity with nice rental potential in a community where you own your own land! Bring your pets! No restrictions on size!. 55+ community in a nice quiet location close to all Naples/Marco Island has to offer. Or spend your day exploring one of the may Everglades parks near by!